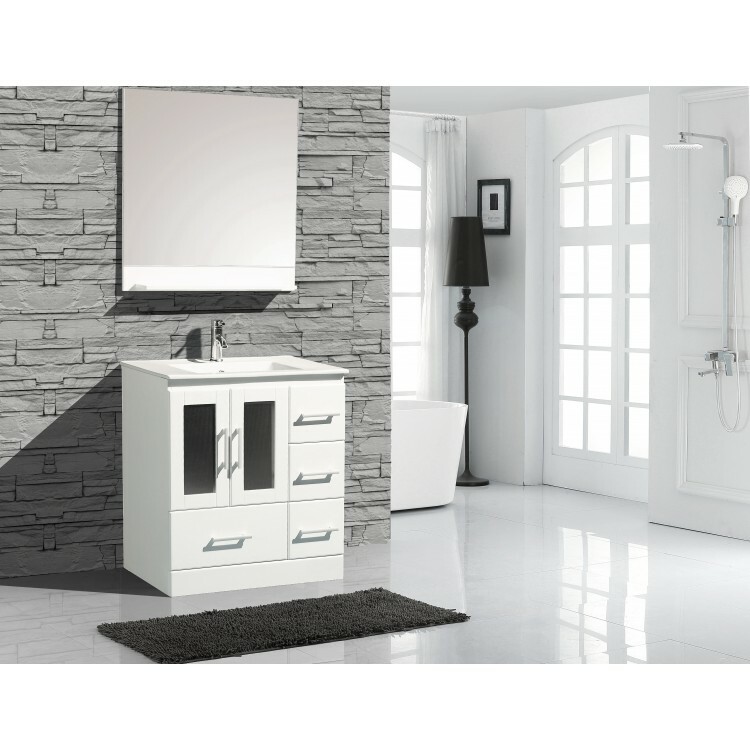 Floor standing, all wood contemporary single bathroom vanity with one piece white ceramic top and integrated sink. 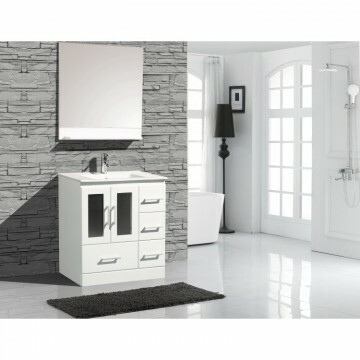 Frosted glass soft close doors and four drawers. Mirror with shelf included.